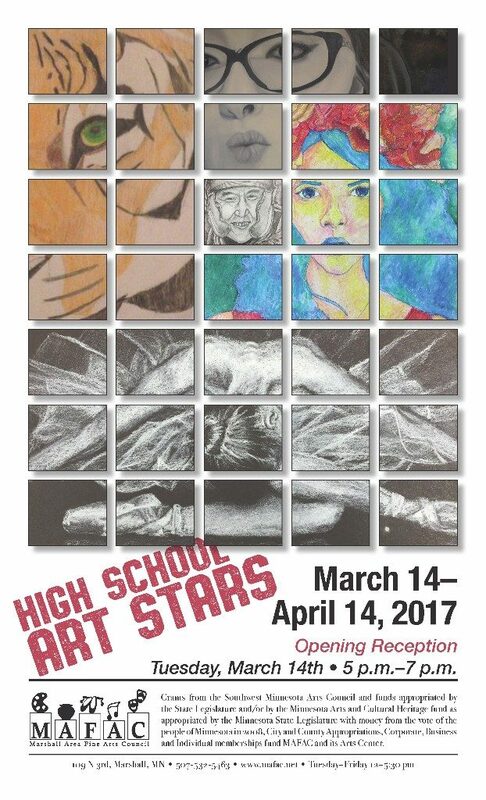 Marshall Area Fine Arts Council’s current exhibit runs until April 14th, 2017. High School Art Stars. MAFAC is located at 109 N 3rd St, Marshall. Gallery Hours: T-F 12-5:30 pm. Info at 507-532-5463, www.mafac.net, or Facebook.